I don't know the rules for 7 Quick Takes but I think it's OK to post this on a Monday right? This week has a bit of a theme...see if you can guess. 1. As many of you may know Justin released his first album in over six years last week. I think it is fairly safe to say that I am obsessed with it. It's really all I'm listening to at the moment. Well that and random country power ballads but mainly just Justin. You may be thinking to yourself, "That's normal Jones..."
I'm googling Justin Timberlake every day to see what new stories there are about him. I read a review that gave the new album 2 stars and gave it the worst stank face ever. Because I helped him write it so it makes sense that I'm so invested. 2. 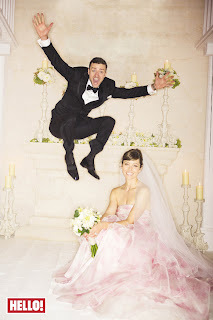 I have thought about writing a letter to Jessica Biel stating that her rise from Mary Camden to Mrs. Timberlake is one that is inspiring yet fills me with the rage of 1,000 burning suns. Why does she get to wear a cute pink wedding dress and have precious photos for the rest of her life? She should have married Robbie like God intended. 3. I just fell into a internet rabbit hole of "7th Heaven" fan sites...who knew. 4. I have watched this performance no less than 200 times. Could you imagine if Justin Timberlake surprised you? You're already in a Target commercial and that's exciting enough but then BAM JT in your face! I would have made women on Oprah's Favorite Things episodes look comatose. 7. Because my friend Lauren and I have been on an all Justin Timberlake diet these past 8 days it is safe to say we have reverted back to our myspace fan page days. There you have it everyone. The day my blog took a turn for the worst. And by worst, you mean BEST. I am available for hire if anyone else would like me to bedazzle their blog for them. I thought I was a JT fan until I read this. As far as I'm concerned, SNL was made for Justin. He is so stinkin' funny on that show. And really, how does Mary Camden get all the luck? I have never given JT more than two thoughts (literally, two thoughts: 1. his hilarious SNL "homelessville" skit and some MTV show I saw him on with his mama) until my husband showed me the "Suit and Tie" video. As a result, I have myself a dirty little housewife crush on him. Don't be like me, folks. Steer clear of this new album. Hehe Lance Bass, I am still attending a monthly support group. I'm glad I'm not the only one with a JT obsession right now! I honestly wasn't a fan of him much before and didn't like Suit n Tie until I saw him on SNL. This boy is amazing! 20/20 is on in my life 24/7! P.S. new follower-you are hilarious my dear! I could watch JT videos all day long! 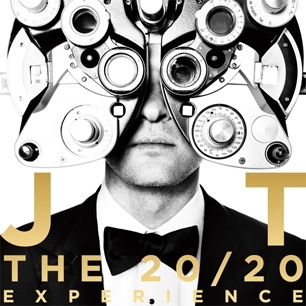 Your love of all things Justin Timberlake is moving, inspiring and is making me feel like a better American. LOL. Jones, you are freaking funny!! :) I'm a new follower too. And BONUS: I nominated you for a Liebster award on my blog!!! Don't cry, don't cry. Wipe dem tears, baby. Mama knows. MamaKNOW. Gah! Thank you so much! I'm so excited & thanks for readinggggg! As Google Alert hasn't gone the way of Google Reader or IGoogle, you could set up an alert. You've ruined me, Jones! Or rather Justin has. I'd stayed away from him and pop culture in general lately but since reading this post I can't stop listening to Suit and Tie. I set up a Pandora Justin Timberlake station (because I don't want to pony up any money to buy anything, not even for JT) but they keep playing crap that isn't the entire 20/20 album. At least I still have YouTube. Oh my gosh, you posted this on a MONDAY? I am going to have to alert the Quick Takes police. Expect a knock at your door any second. Although you may get a pass since that JT for Life image is the very reason that God gave us animated gifs.